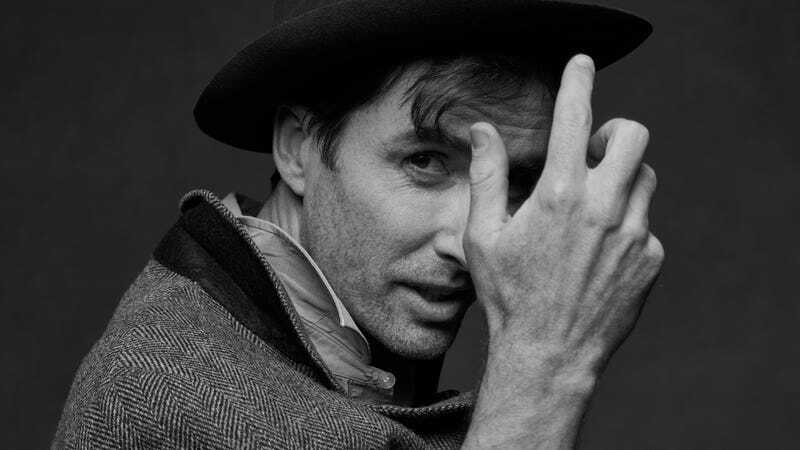 Andrew Bird’s My Finest Work Yet is as much a culmination of his musical storytelling as it is a high mark of his 20-plus year career—you can walk away with a different favorite song with each listen. The album, Bird’s 12th solo outing, is replete with superlatives, containing some of his most exquisite melodies and finest wordplay, as well as his lushest, warmest sound yet. The latter is a pinnacle achieved through live vocals, mainly from Bird and Madison Cunningham, and recording sessions sans headphones or separations. As Bird himself has indicated, My Finest Work Yet also features some of his most overtly political songs, including “Bloodless,” which was written in the time between the 2016 federal election and the Unite The Right rally in Charlottesville. But while there is a greater sense of urgency to the album’s themes, we can still count on Bird to eschew heavy-handed references to the latest tweetstorm or diplomatic crisis. His signature playfulness, which immediately greets listeners old and new via the album’s cheeky title, continues to yield incisive turns of phrase. On the enervating “Fallorun,” Bird calls out a certain narcissistic leader’s campaigning for recognition in Time magazine—“Such an abomination / Could be the man of the year”—and the surrender of casual activists (“We could’ve been together / But you couldn’t stand the weather here”) while never once invoking hashtag resistance terms. This is dissidence via harmonious arrangements—“Sisyphus,” with cavernous sound and its spaghetti Western-like whistling, challenges us to move beyond guilt to action. Tracks like “Olympians” note the abundance of “anathema” in online discourse and news coverage before bursting into a full-throated sing-along that wouldn’t be out of place in a Beatles tune like “All You Need Is Love.” The pacing of “Archipelago,” which Bird contributed to the Songs For Swing Left initiative, is a bit more legato, pairing a thrumming violin with a series of somber “whoa-ohs.” But as the artist muses on different factions or sides being “locked in a death grip” that’s “taking its toll,” his voice is joined by those of bassist Alan Hampton and drummer Abraham Rounds in the start of a new conversation. And Bird’s delivery of the song’s refrain, “our enemies are what make us whole”—a notion that also served as an inspiration for the album—remains lilting, almost buoyant, until its conclusion. Though the commentary can be pointed, Bird is taking the long view on My Finest Work Yet, stepping back to accommodate all kinds of cultural and political divides; the airy but grounded “Manifest” is full of references to chasms and colonizers, as well as the plundering of natural resources (“tendrils of digging”). The imaginary opponents in “Proxy War” could be seated at keyboards or in mission launch control rooms, battling one another in the present or in the ’60s, an era whose music and politics have a distinct influence on these songs. On “Proxy War” in particular, the vintage sound of the string section, combined with percussionist Ted Poor’s military precision, evoke the chaos of that period of free love and all-out war. Those drums and song titles seem to put My Finest Work Yet on a road to some big confrontation or revelation, with rests provided by songs like “Cracking Codes,” which, at three minutes, is an achievement in musical brevity and thematic resonance. “Don The Struggle” combines a rallying cry with an admonishment, with Bird assuming the personas of both a firebrand and a shell-shocked veteran. The closing track, “Bellevue Bridge Club” is similarly expansive, offering a warning—you can hide your head in the sand, but conflict will still find you—and a bittersweet reward for the battle-weary. Bird has released live recordings before, but the 10 tracks that make up My Finest Work Yet feel even more present, more in the moment, while never sacrificing any musicianship. Paul Butler’s production makes a gorgeous chorus out of the potential cacophony of a roomful of instruments and voices. The arrangements are as precise as ever, the track order gradually revealing a narrative that includes wrongdoings, incitement, and action. There is no resolution, but a commitment to shaking off our apathy or despair and helping others do the same. My Finest Work Yet won’t start a revolution, nor is it looking to—Bird is mostly speaking up to say he’s listening.